The LM Agarose Low Melting Point is ideal for preparative electrophoresis and the recovery of DNA and RNA. It is characterised by low melting and gelling point. 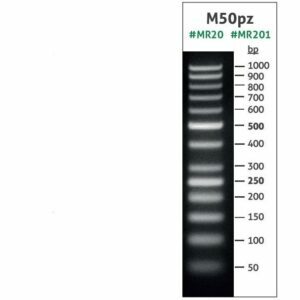 When working with the LM Agarose Low Melting Point, there is no need for extracting the DNA from a gel before manipulations such as ligation, transformation, restriction, amplification and sequencing. It is useful for the separation of nucleic acids in the range of 100 – 23 000 bp. Molecular weight standard specially designed for electrophoretic analysis of medium DNA fragments on agarose and non-denaturing polyacrylamide gels. Ideal for sizing of PCR products and medium double-stranded DNA fragments. 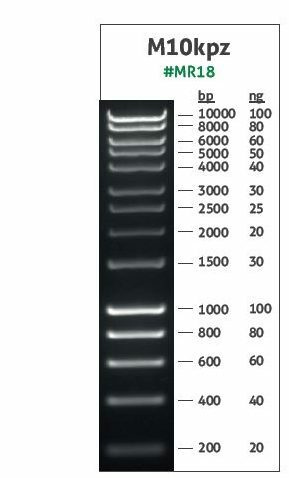 M600-1000 DNA ladder contain purified blunt-ended PCR products.